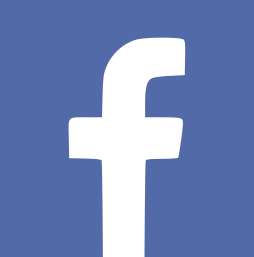 Home Blog Lutherie Bridge Saddle and Nut – Bone or Plastic? Often, when buying an acoustic guitar, it is the small details that do not really catch your eye in the first moment, but are important in practice. 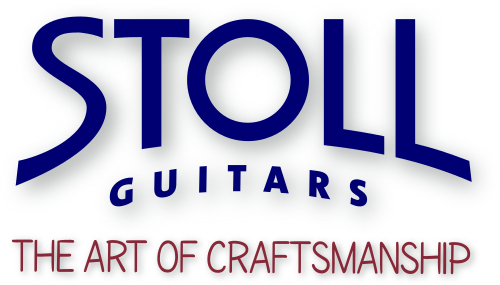 It depends on these details whether the guitar is a pleasure for the long term or makes life difficult for us. Bridge saddle and nut are the two support points of the strings between which the scale is measured. Both offer the guitar builder a wide range of possibilities to influence the intonation, but this topic could be referred to as full-length. This article deals with the question of the material of the two inconspicuous components. Bridge Saddle and Nut - Where are They Placed?  The nut is located between the upper end of the fretboard and the head of the guitar. The bridge is the wooden strip, which is glued in the center of the lower bout of the top. Classical guitar bridges provide the slot for the saddle and the tie block, whereas steel string guitar bridges have holes for the string pegs. The saddle serves to position the strings at a defined distance to top and fretboard. For this purpose, the strings are bent over the saddle in a sharp angle. In addition to the stress of the bend, the saddle must withstand the pressure produced by the string tension as well as the friction that is generated while tuning. For this reason it must be made of a very durable and robust material. 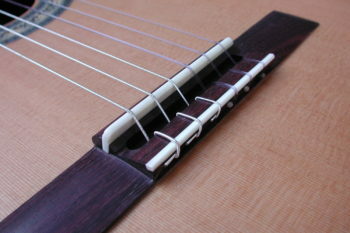 The nut directs the strings from the upper end of the fretboard to the head and to the machine heads. 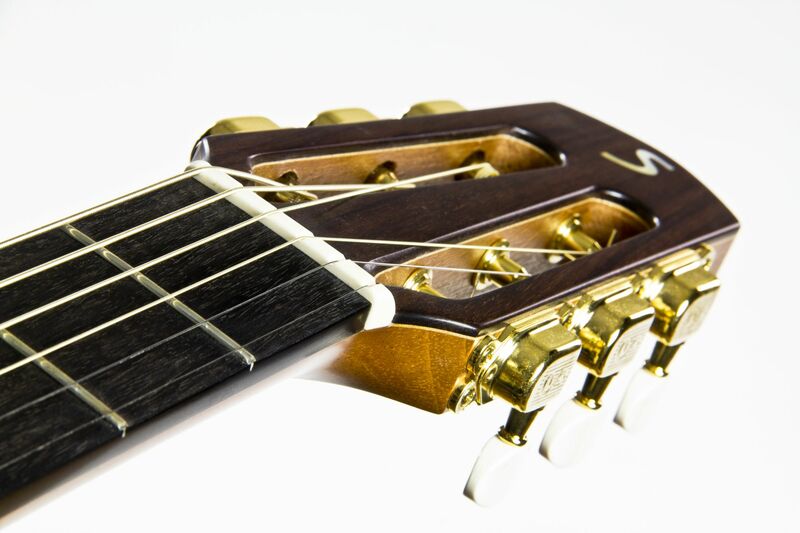 In contrast to the bridge saddle, on which the strings are freely supported, the nut has slots that are individually shaped to hold the respective string. The pressure of the string tension acts also on the nut, but the nut is more stressed by the friction caused by tuning, which is why it has to be made of very hard material. In the past some guitar builders attempted to build saddles and nuts of ebony. Ebony is known as very hard wood, but the above-mentioned stresses led to the need to exchange nut and saddle very often. Traditionally luthiers use bone for nuts and saddles. Since the saddle, but above all the nut, is exposed to strong friction forces, bone is predestined as a material here. Bone has a natural fat content and is therefore self-lubricating. For the string, this means that it can slide smoothly during tuning, offering less resistance than other materials. More and more, acoustic guitars (not just inexpensive ones) are equipped with a plastic bridge saddle and nut. The advantage for the manufacturer lies in the price of the material and in the costs of the production. Plastic saddles and nuts can be cast, while making a bone bridge or saddle requires proper manual work. Bone must first be sawn, then ground and filed. The disadvantages of the plastic is borne by the guitarist. 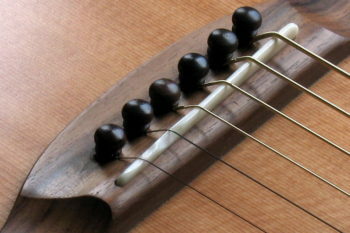 On the saddle, the strings like to dig, resulting in a burr sooner or later, which leads to broken strings. On the nut, the string also digs into the material and thus gets stuck firmly. Anyone who tried to tune a guitar and felt that the sound did not change until the string suddenly sounded a whole bit higher or lower, was probably confronted with this phenomenon. For the unexperienced, the difference between plastic and bone is not easily recognisable, because often the plastic is in color adapted to the bone. Only with a bright white nut or saddle, one can safely assume that it is of plastic, even upon a superficial survey. If you look closely to the nut or saddle, you can also distinguish bone-colored plastic from real bone. 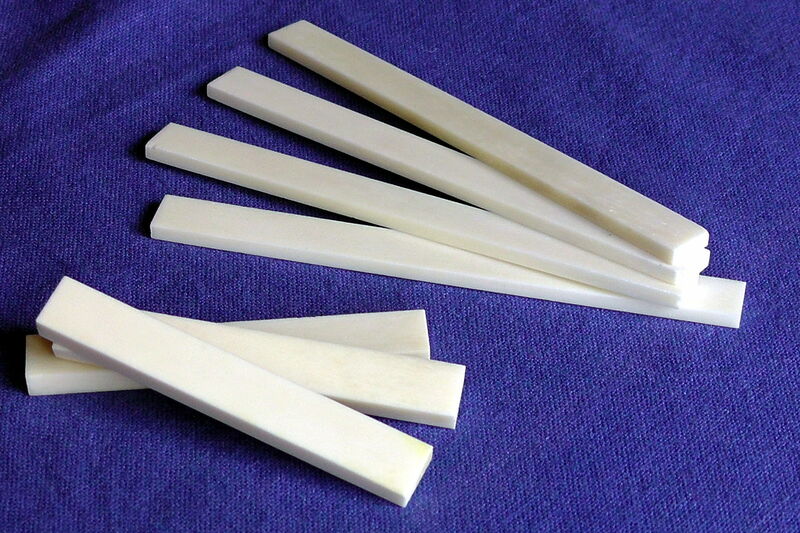 Plastic has a perfectly smooth surface, while the bone has a very fine structure. Frequently, bone looks as if it is traversed by fine cracks. With a bit of craftsmanship and the appropriate tools, you can replace your plastic saddle with bone. From the nut, however, keep your hands off. Your guitar builder around the corner takes this work for not too much money. This way, you can be sure that the replacement will really bring added value and improved playability.